A few weeks ago, I ran into Jio at Miami's Brew At The Zoo. Wasn't too coincidental since he was helping man the Coppertail Brewing tent. Gio was serving the brewery's latest in their Florida Weisse Series, Purple Drink, brewed with Boysenberry, Cherry, and Blackberry. Each was identified with their periodic table abbreviations: By, Ch and Bk. Anyway, Purple Drink is really purple! And it was one of my favorites at the festival! So I grabbed a bottle at my local liquor store a few days later to check out here. 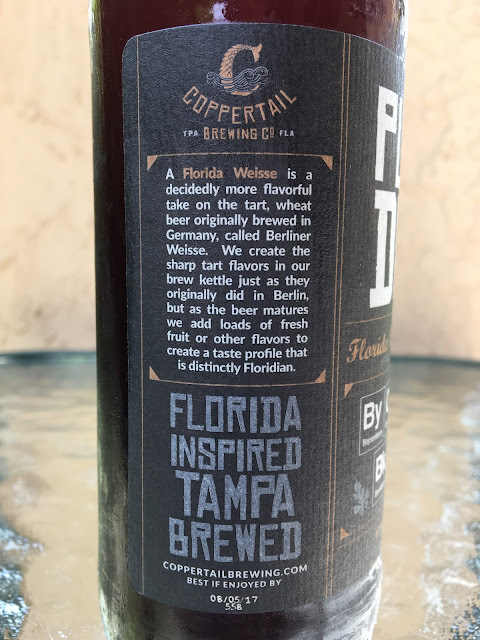 I had previously enjoyed their Slam Piece Florida Weisse, brewed with cucumbers as well. 3.5% alcohol. Enjoy By 08/05/17. Deep pinkish-purple color, rich and not transparent. Blackberry fruity aroma, very nice but not jumping out of the glass, a little salty too. Great tartness to start! 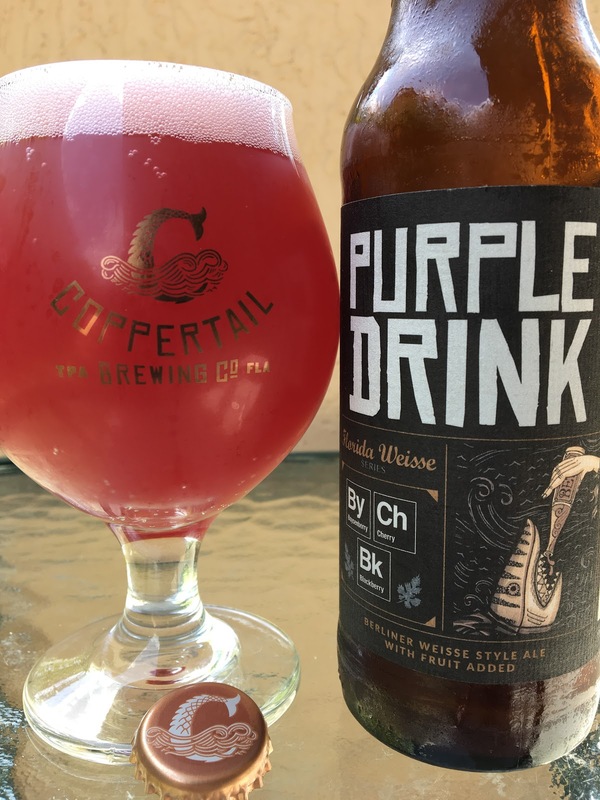 Super fruity blackberry and cherry flavors stand out from sip one. Those fruity flavor are the PERFECT complement to the tartness of this beer. Tart, very refreshing, perfect for a 93°F 90% humidity Florida afternoon! Great flavors, terrific. I liked it over the cucumber version though that was a close decision.